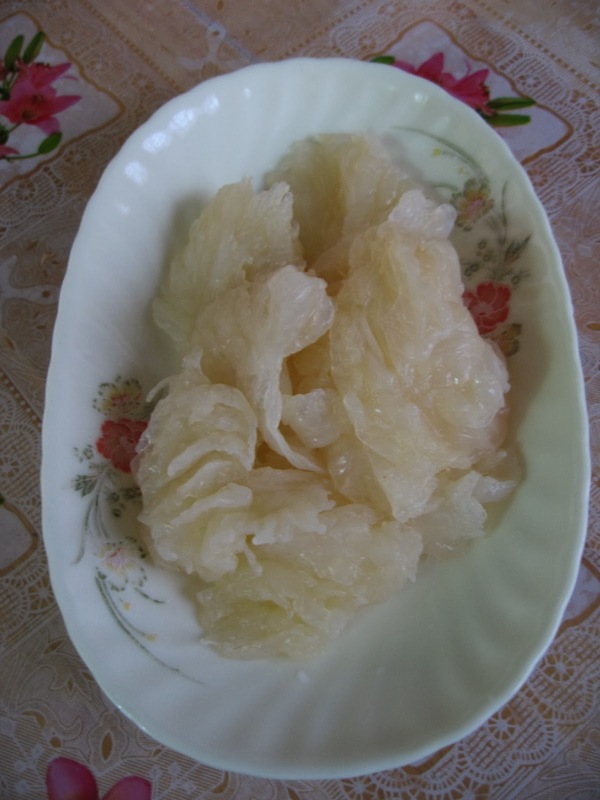 Jellyfish salad is served in my family on the 7th day of the Chinese Lunar New Year. The 7th day or 人日, literally means "Human Day' or everyone's birthday. In Malaysia, the Chinese celebrate 人日 by eating 七彩魚生, meaning seven-coloured raw fish salad or popularly known as yee sang. 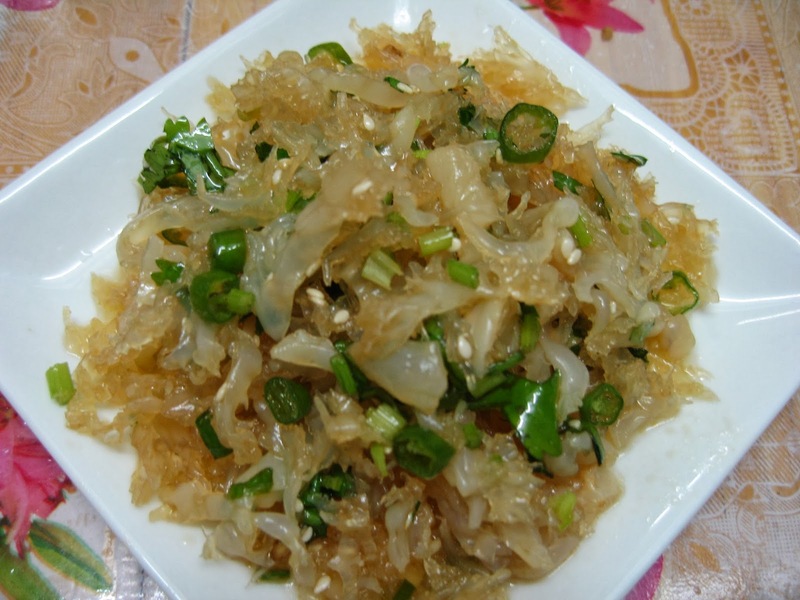 Most people opt for yee sang or raw fish salad at Chinese restaurants. My office mates and I usually group together to have yee sang during the Chinese New Year Year season during lunch break. It is a great time to eat together. We can order many variety of dishes since we always go in a big group. It is a great time to bond and enjoy good food and good company while we forget our work pressures and datelines for an hour or two! However, my family does not really fancy yee sang. We prefer jellyfish salad at home. This is the way we celebrate "yan yat" or everybody's birthday which falls on the 7th day of the Chinese Lunar New Year. 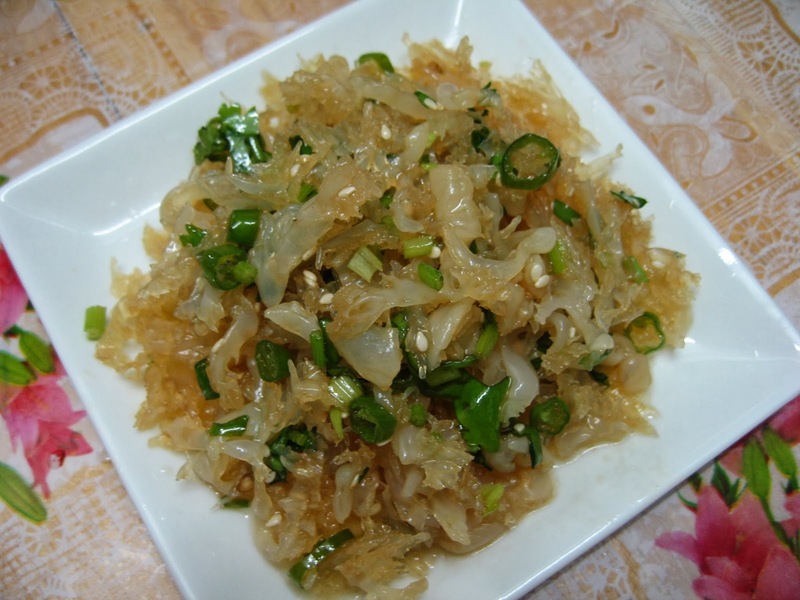 We just love the crunchiness of the jellyfish.Tasty! 1. 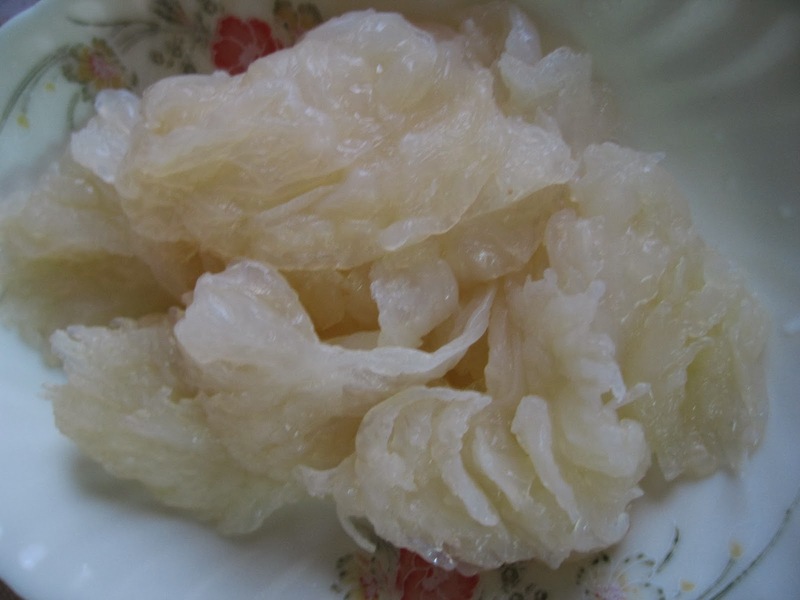 Soak jellyfish for several hours, preferably overnight. Keep changing water several times. 2. Slice the jelly fish into thin strips. 3. Bring a small pot of water to a boil. Quickly blanch jellyfish strips for 1 minute. 4. Drain dry and dab dry. 5. In a small bowl, mix all the sauce ingredients together with chilli padi and Chinese parsley. Stir to blend well. 6. Add in the jellyfish strips. Transfer to serving plate. Yee sang contains a lot of stuff with artificial colourings which is something that I would like to avoid.